Your car may well have failed it's MOT or had an advisory using one of the very unusual and confusing descriptive terms stated below. 1▪An obligatory headlamp inoperative, excessively damaged or deteriorated or has a product on the lens or light source so that the light output is well below that required to illuminate the road ahead and projected beam image obviously incorrect. 2▪Headlamp has a product on the lens so that the light output is severely reduced. 3▪ Headlamp aim beam image obviously incorrect. We can solve all of these issues for you getting that MOT pass guaranteed. 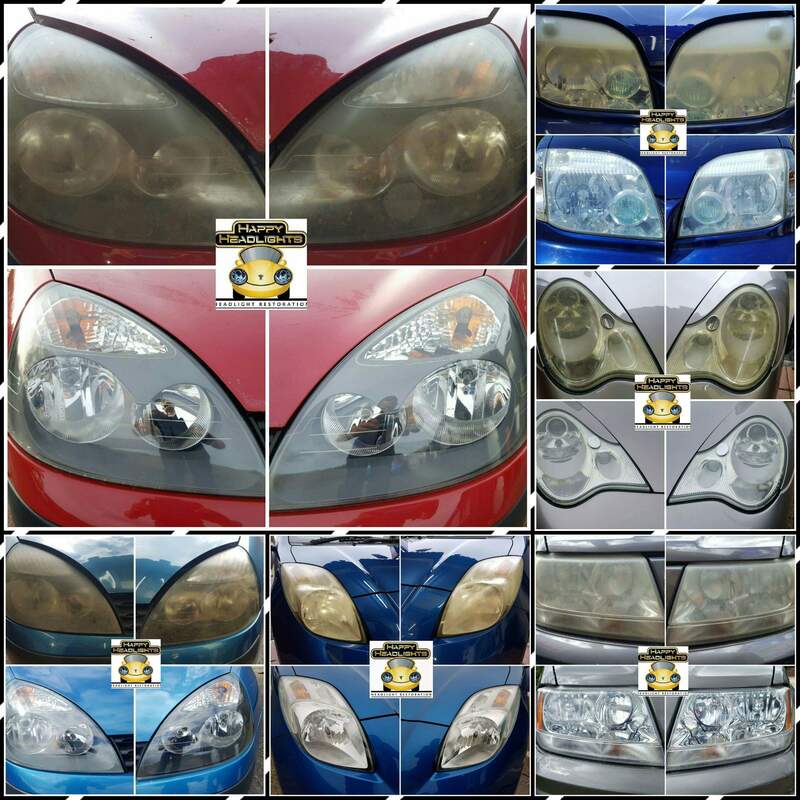 Over time plastic headlights will become cloudy , discoloured or lose their clearness due to UV, heat and oxidation damage. 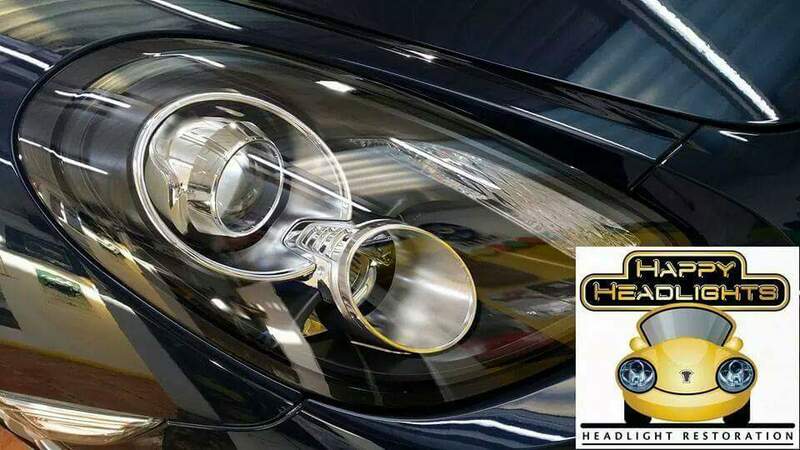 Getting your headlights replaced can be extremely expensive and time consuming making our specialist service a smarter more cost effective option. 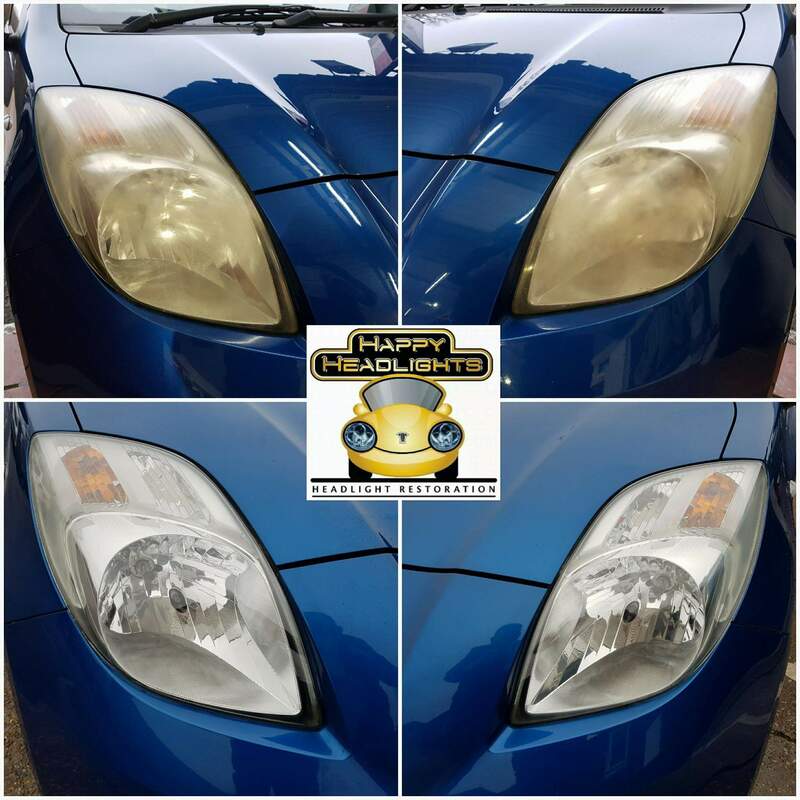 Happy Headlights are fully trained and insured to work on your vehicles and only use the very best products to ensure the highest quality results.